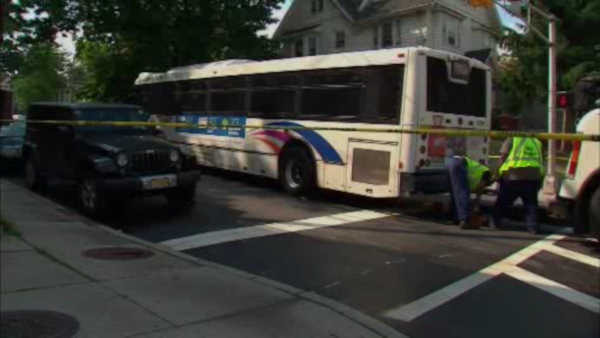 NEWARK, New Jersey (WABC) -- A woman is in critical condition after being struck by an NJ Transit bus in Newark. The bus was heading from Irvington to Bloomfield around 2 p.m. Saturday. Newark police say a woman in her 60s was crossing the street at the intersection of Mount Prospect Avenue and Heller Parkway shortly before 1:30pm, when she was struck by the bus as it was turning from Mount Prospect Avenue onto Heller Parkway. She is likely to lose both of her legs, police say. NJ Transit says there were 3 people on the bus at the time plus the driver. It's not yet clear whether the pedestrian or the bus had the right of way, and the accident is under investigation.